If, like me, you open water swim to keep fit; it can be difficult to justify purchasing an open water/triathlon specific wetsuit. They are specifically designed for the competitive swimmer or triathlete with long distances swimming in-mind. Consequently they are not as hard wearing as a traditional wetsuit, and therefore not really suitable for anything else. I wanted a wetsuit I could use for open water swimming, and the odd surfing holiday off the Cornish coast (and more), so I jumped in at the chance to try the O’Neill Hyperfreak full wetsuit. I knew it would be good for surfing etc, but would it be good for open water swimming because I have entered Swim Rutland in August? I will not go into the technical details of O’Neill’s TechnoButter neoprene, I shall leave that to the boffins at O’Neill, but importantly its lighter and super stretchy than the normal neoprene. 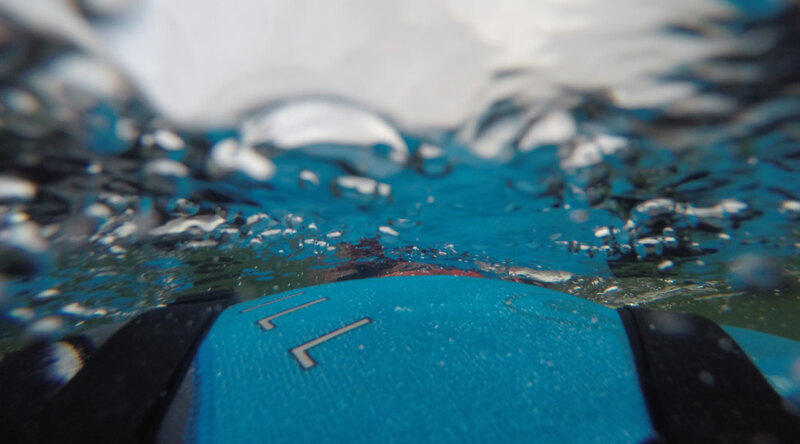 The glued and blind stitch seams complement the TechnoButter and with the seamless shoulder design contributed to a well fitting wetsuit with plenty of movement; which did not hinder my swim stroke. The neoprene thickness is 3mm and 2mm, which gave me enough buoyancy, that I felt confident in the water; and even though I need to work on my swim technique, I had a good swim. Open water swimming in the O’Neill Hyperfreak wetsuit. lovely! 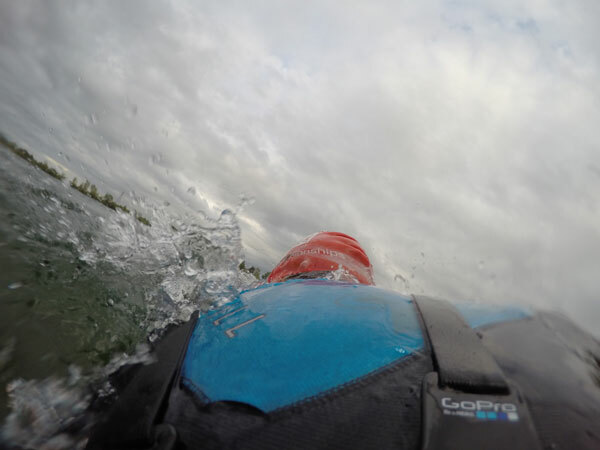 The FUZE entry system isn’t as easy as a back zip; but it does make a good seal, so I had no ‘flushing’ of the wetsuit, keeping me comfortably warm. However if you do elect to enter a triathlon this wetsuit will add time to your transition – however I’d see that as a much needed rest! So, if like me, you want a multi-disciplined wetsuit; then take a look at the O’Neill Hyperfreak FUZE 3mm 2mm Full Wetsuit and you will have a wetsuit for all occasions, including open water swimming, when the water temperature is a little chilly.